Trying to overtake the competition isn't practical. While Nintendo's Wii stomped all over the competition this console cycle, one of the little white box's critical flaws was Nintendo's reluctance to embrace online gaming the way competitors at Microsoft and Sony had. Its online efforts were clunky and half-hearted at best. 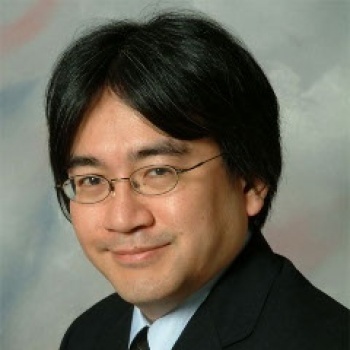 Speaking with investors, Nintendo boss Satoru Iwata admitted that a full console cycle's head start meant that Xbox Live and PSN would be difficult if not impossible to overtake. "I think that what we see in terms of online gaming networks on existing dedicated gaming platforms is not particularly well suited to the approach Nintendo has taken," he said. "Therefore, I can't sit here and say to you that we can very quickly overcome or catch up to other companies, which began to work in the online field from many years ago and have been building these online networks on other platforms, and I don't think that would be a smart strategy, either." Instead, Iwata talked up the social aspects of Nintendo's upcoming Miiverse. "We think that one fun area of possibility, as we have discussed, is for people not just to enjoy the games but also communicate with others about topics relating to the games," he said. "We also believe that the Miiverse will serve the purpose of giving people an opportunity to discover other games that they haven't yet started playing." Doing away with the Friend Codes is an important first step, Nintendo. I hope you carry it through.